Repeater watch (see complication) in which hammer and bell are replaced by a sharp pin which protrudes from the case to prick the finger once for each hour. 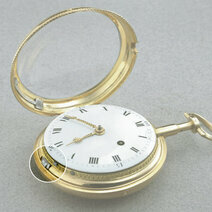 A type of watch made after 1795 by Abraham Louis Breguet to give time by touch. In the late eighteenth century it was considered impolite to consult one's watch in company, a question of etiquette which the à tact watch helped to solve (the French tact, meaning touch, has given the English tact and tactful). 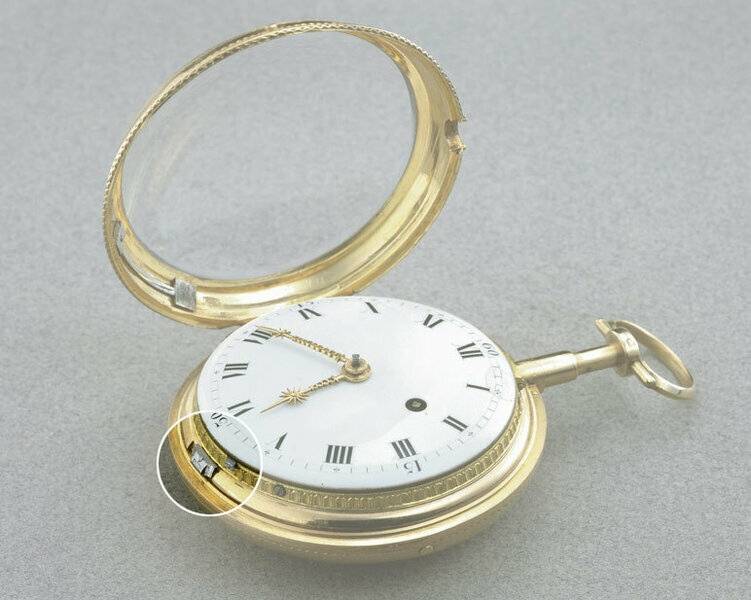 Knobs representing the hours are positioned around the case with a large hand that could be turned until it met resistance. Its position in relation to the knobs gave the time. This kind of tactile watch is now mainly used by the blind and visually impaired. A metal applied by electrodeposition (electroplating) to protect iron and steel. A drop shaped gemstone cut that has many triangular facettes.